Boiler Guide is the smarter way to find recommended boiler installers in your area. Are you a super affiliate? Are you looking for a program that can deliver a regular income all year round? Then apply for the Boiler Guide affiliate program today. 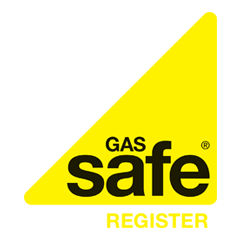 Boiler Guide is a free service that finds up to 3 registered traders to quote for work, saving consumers time and money. You can now offer this service to your site visitors via our affiliate scheme. It's perfect for anyone running a home improvement, heating or renewable energy based website. Just place the Boiler Guide quote form or banner on any relevant page and start earning. We pay a set amount for every valid lead you send us and pay promptly straight into your bank account every month. Apply now to become a Boiler Guide affiliate and start earning money from your website or blog. It costs nothing to join! You'll get a dedicated affiliate account manager, your own affiliate dashboard with banners, email creatives, API and real time account overview. And, if you're a great affiliate, we'll open up a whole lot more to you!